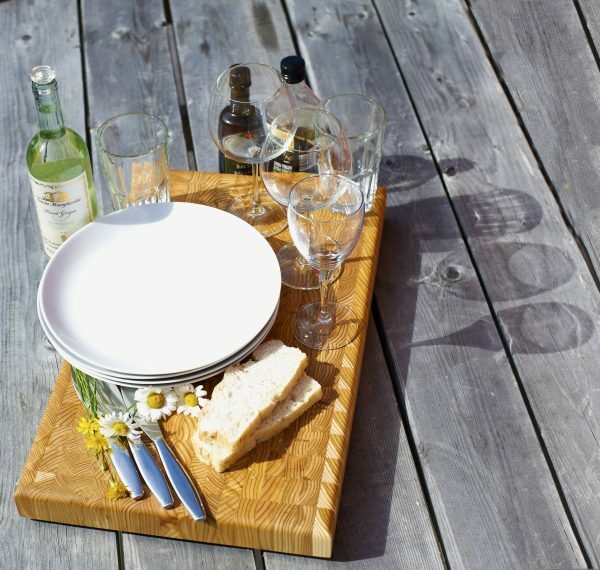 This everyday cutting and cheese board is made from end grain larch wood from Canada. This cutting board measures: 9″ x 14″ x 1-1/4″ and has rubber feet to hold the board off the counter and in place while cutting. Please note that no two boards are alike and variations from photos will occur. Please order on line or come see the rest of the collection today at Fraser Wood Elements today!